If you thought unicorns were imaginary, think again. Anatomy, evolution, life cycle, magical properties: prepare to learn just how much you didn't know about these fantastic, magical equines. A full encyclopedia of all things unicorns--an updgrade for fans of My Little Pony and fun for kids who love magic. 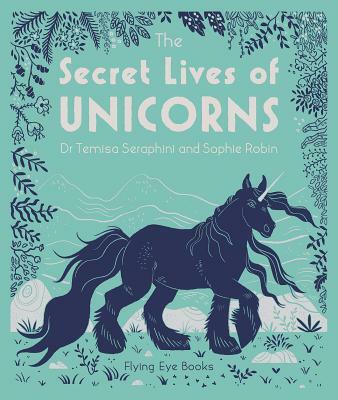 Professor Temisa Seraphini grew up in Nottingham where she first encountered a unicorn in the wild, igniting a lifelong passion for their study and conservation. She is now a leading expert on Unicorns and Unicornology at the University of Forgotten Magical Creatures. Sophie Robin is a freelance illustrator who recently graduated with honors from Edinborough College of Art. She currently lives in Glasgow.